Saturday night in New York City, and I am en route to the historic Green-Wood cemetery for an evening of libations and performances at Atlas Obscura’s Into the Veil event, now in its third year. The towering, gothic archways of the historic Green-Wood cemetery stand like a portal between the living and dead. As crowds of New Yorkers make their way under the illuminated arches, a sense of surreality begins to set in. Yes, I am in fact spending Saturday night in a graveyard. Green-Wood cemetery isn’t any ordinary graveyard though. Founded in 1838, the winding pathways of the cemetery cut through woods, rolling hills, ponds, and an endless expanse of mausoleums and gravestones dating back to the 19th century. It is difficult to imagine that each of the weathered tombstones represents a person who once lived, once loved, and once saw this very city in a different era. 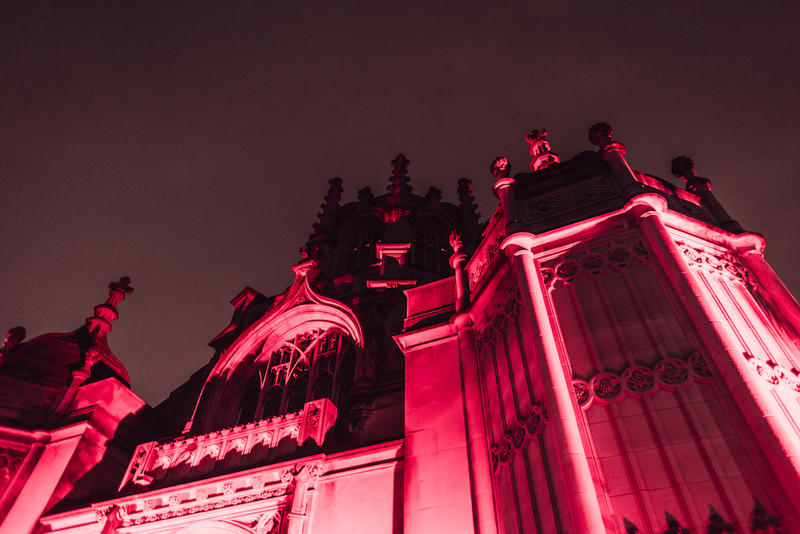 Upon entering Green-Wood, a church washed in red light stands directly ahead—at once welcoming and ominous. 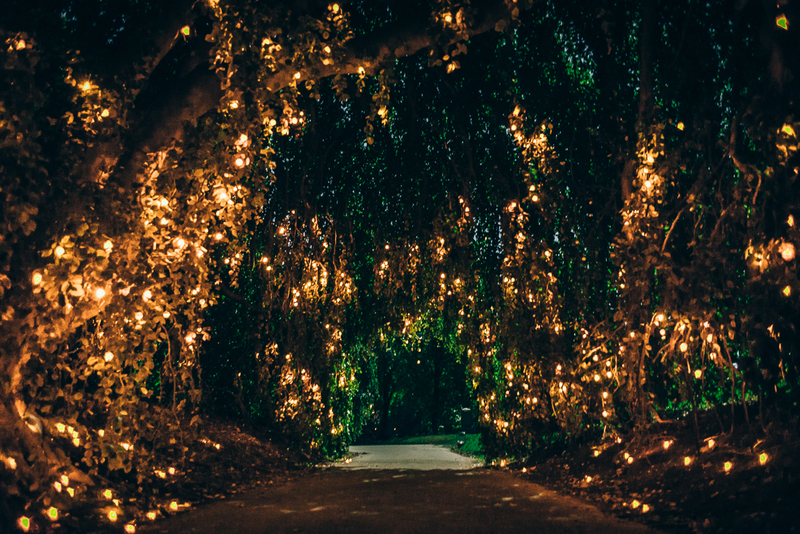 Guests move like shadowy silhouettes through the cemetery as my eyes begin to adjust to my surroundings, the moonlight casting a silver glow over the grounds. Wine in hand, I begin to venture into the darkness, following the ever-changing sounds around me. 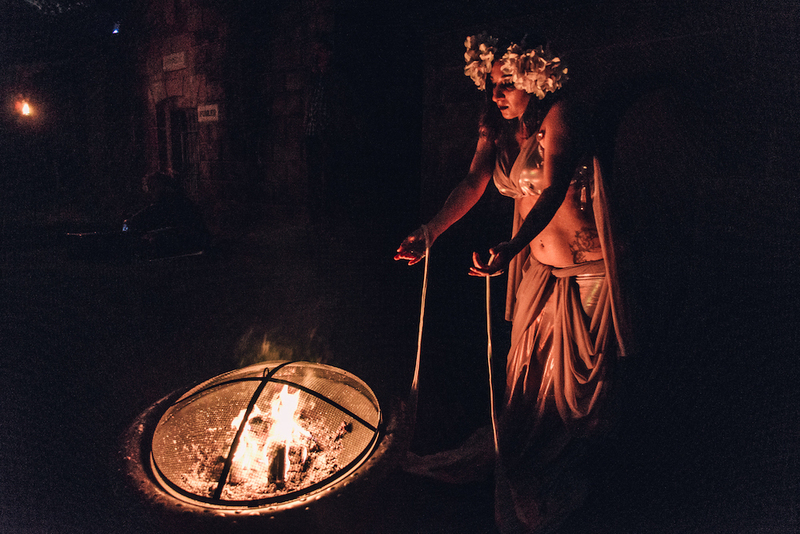 Atlas Obscura’s Into the Veil event is an immersive, performative experience. 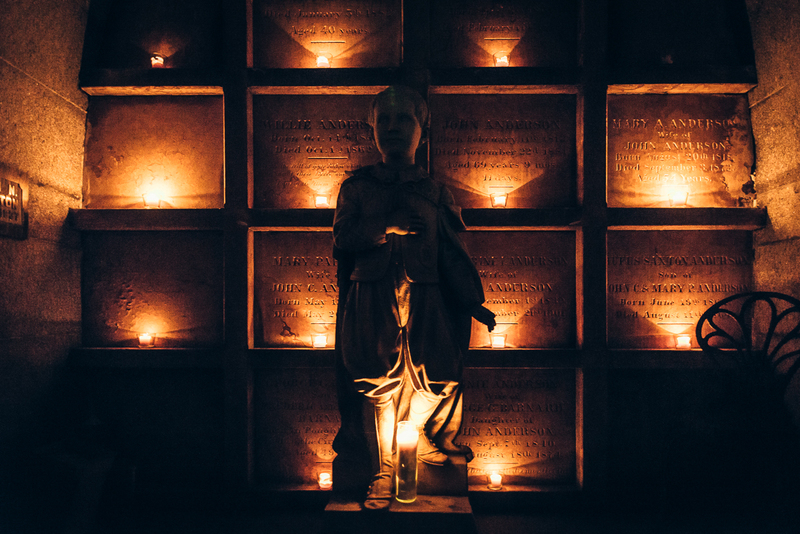 Guests roam the cemetery—either following a provided map or simply wandering—discovering musicians, vocalists, and dancers along the way, peppered amongst the graves. 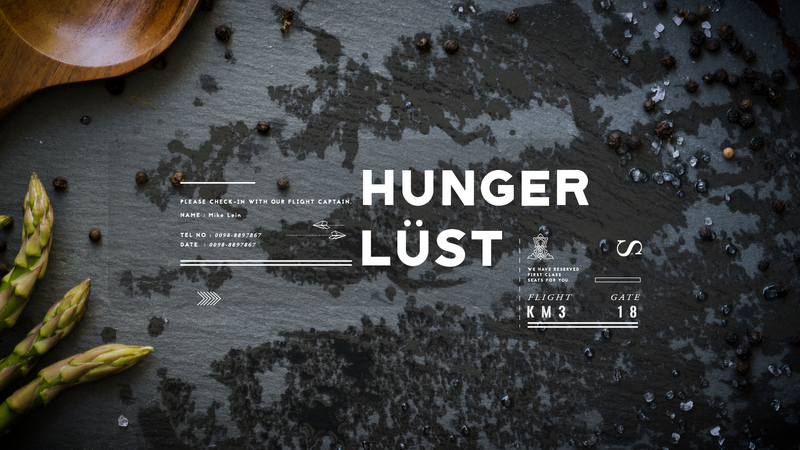 Never one to stick to maps, I walk idly amongst the dead until the hypnotic sound of a violin playing a slowed-down rendition of Wayfaring Stranger calls to me. Three solitary musicians stand in a circle of light, towering tombstones on the edges of the illuminated circle. Their haunting music seems to call the 560,000 souls buried here back to earth, transcending the veil between the living and dead with a tune that can span lifetimes. It is the Brooklyn Bluegrass Collective, featuring musicians Libby Weitnauer, Pete Winne and Eli Hetko; but in the moment I am aware only of their music, the shadowy audience, and those graves. My attention breaks when out of the corner of my eye I spot a young woman dressed all in white, holding a candle. While every other guest is but a shadow, this woman is ethereal as her gauzy white dress flows in her wake. Am I seeing a ghost? I follow her on impulse past the entranced guests, taking notice of the fact that no one else is paying attention to this ghostly apparition but me. She walks in front of me, her candle’s glow cutting through the night, the sound of women’s voices growing stronger as we approach a mausoleum surrounded by white candles. I see three women draped in white cloth, singing like sirens behind the mausoleum’s wrought iron-gated entrance. They’re pouring candle wax, playing with flames, and seem oblivious to the people peering curiously at them. I feel as though I’ve stumbled across some midnight coven in the process of casting an incantation. My ghostly guide disappears into the night, and I press on. 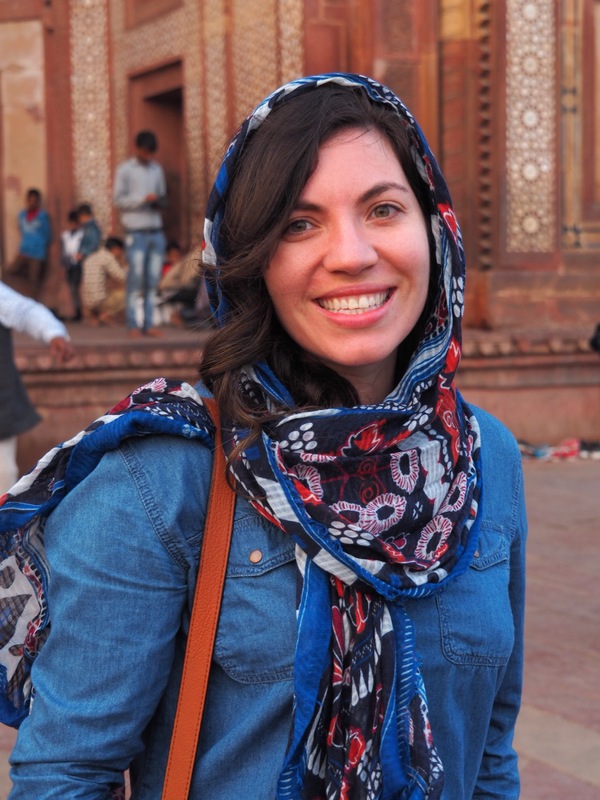 I begin to follow an unmarked path to the sounds of synthesizers where three women, dancing like ballerinas but dressed like Moroccan belly dancers, are waving their torsos from atop a mausoleum at a crowd of captivated guests below. Carpets are laid out on the grass and a bar nearby generously refills my glass, this time with champagne. The synthesizers are overpowering, almost an affront to the souls who have been laid here to rest. After a few minutes of the pulsating speakers, I wander off into the cemetery’s darkness. It occurs to me how odd it is that I am in this cemetery, marching around graves with a glass of bubbly as though I’ve taken a wrong turn in my night of debauchery. For the second time, I am forced to wonder what the people below this very grass would think of this spectacle: synthesizers; belly dancers; me in a blue velvet wrap dress with champagne. It would be a long cry from the heyday of New York in the 1800s, that’s for sure. 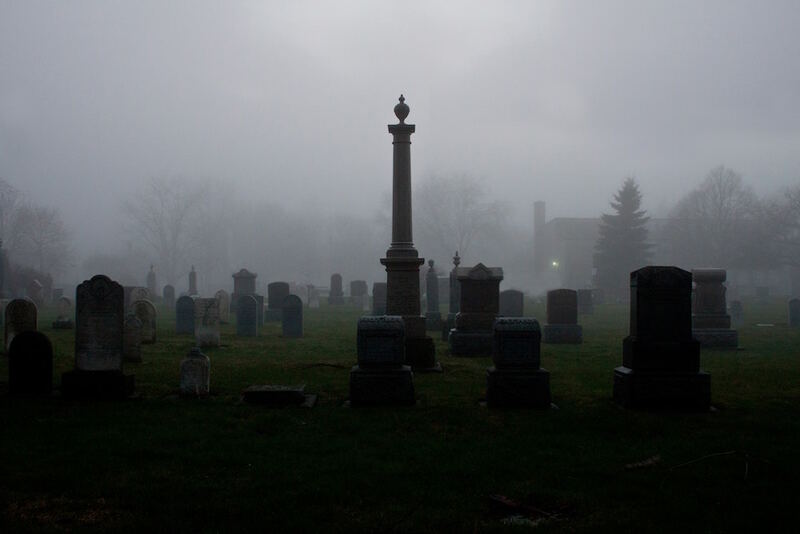 I continue walking and come across an old man dressed in vintage clothes, sitting alone on the steps of a grave. 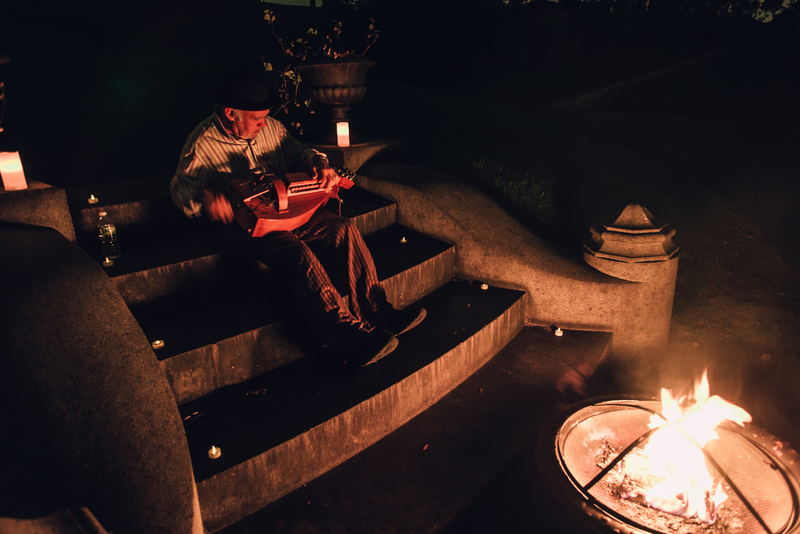 He has a fire lit at his feet, an uncorked bottle of red wine to his right, and what appears to be a hurdy-gurdy—a stringed musical instrument played by turning a crank. Once again, I am left wondering if I have stumbled upon another performer or a ghost. Enough champagne, and one could be forgiven for losing their rationality along the ever-winding passageways of Green-Wood. My night culminates at the catacombs, where all the guests—before scarce and once scattered—have come to congregate en masse. The tight quarters of the catacombs; the pounding music; the red light; the swelling crowd is disconcerting after an evening spent wandering through large swaths of the wooded cemetery. Something about the hipster millennials snapping selfies in front of interred souls doesn’t sit well with me. If karma does exist, one can only hope that decades from now, a futuristic millennial in a bowler hat will be snapping selfies with cocktails in hand in front of their graves. I retreat back into the open air and almost like a dream, the veil of the event is lifted and the cemetery goes quiet. The drinks disappear, the performers seemingly vanish, and the once-shadowy guests now step into the light of New York City. Somewhat dazed and exalted, all of us not entirely sure of what we just experienced, we are certain only that it was otherworldly. *My article originally appeared on Culture Trip here. Some of it looks eerie and then the fairy lights make it seem quite serene ahah! It was definitely a cross between spooky and magical! That looks like it must have been a VERY interesting evening. Thanks for sharing. Looked up the Green Wood Cemetery on Atlas Obscura – what a remarkable place!